One of my favorite things to eat during Easter season used to be peanut butter eggs. Seriously when I would see them on store selves I would stock up and eat them for weeks months. For whatever reason they were so much better than regular peanut cups….obviously it had to be the egg shape. 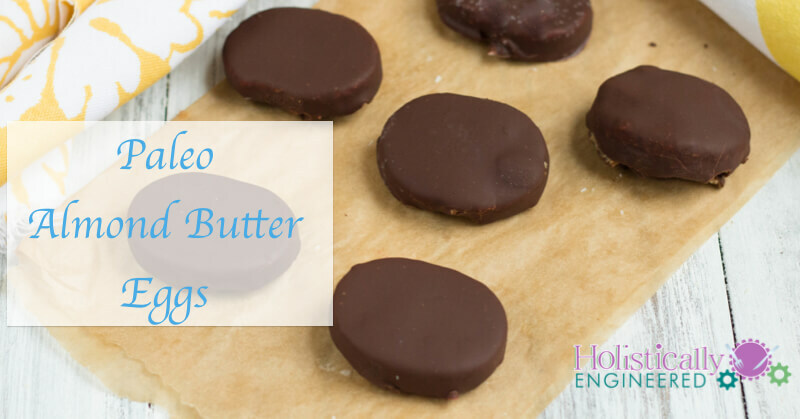 Well, now I don’t go anywhere near those peanut butter eggs, and why should I when I have this tasty and healthy alternative…Paleo Almond Butter Eggs. 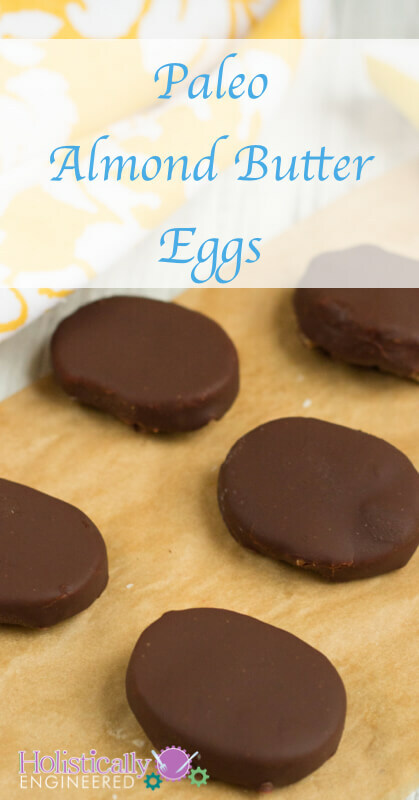 Sure you may have made your own almond butter cups, but have you had them shaped like an egg? It makes all the difference! Place the eggs back in the refrigerator to set back up. Over a double boiler, melt the chocolate and ghee. Whisk to combine. Dip the eggs, one at a time and cover with chocolate. Place the dipped eggs on a plate/dish lined with parchment paper and place in the fridge to set (about 30 minutes).